One of the most exciting recent innovations in the world of hearing care is the made-for-iPhone hearing aid, ideal for the tech-savvy consumer who wants to take advantage of the latest innovations in hearing science. It is not difficult to see the advantages of made-for-iPhone hearing aids, but which brands are compatible with these functions? 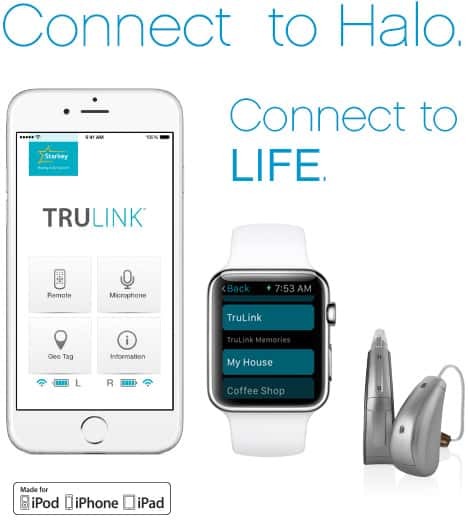 There are currently two standout devices in the hearing care market: the Halo 2 (made by Starkey) and ReSound’s LiNX 3D. These smart hearing aids have similar capabilities and features, but they differ in a few particular ways. 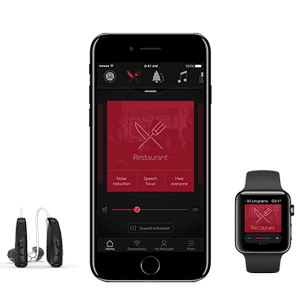 This device makes use of an easily navigable hearing control application called TruLink. With this app, wearers will be able to easily adjust volume and settings on their iPhone, at any time, without having to use a remote or press buttons on the hearing aid itself. The Halo 2 is available in two styles to fit individuals with anywhere from mild to severe hearing loss, and features an excellent feedback canceller for more a more pleasant and undisrupted listening experience. This advanced noise disruption technology is made even better with a precise directional microphone that can focus in on speech in noisy environments. Perhaps one of the most useful innovations of the Halo 2 is the ability of the device to store settings for certain locations, and automatically switch to a preset mode when the GPS on the user’s phone detects a tagged location. An added benefit in terms of durability is the hearing aid’s Hydroshield nano-coating that surrounds the aid itself and effectively repels water. Similar to the Halo 2, one the main appeals of the LiNX 3D is a smart app that will allow users to adjust the aid’s volume and settings on an iOS device. The volume function is unique, however, in that users can specifically adjust the treble and bass levels to achieve the perfect listening experience for any environment. And as with the Halo, these settings can be saved and stored in the phone for a countless number of different geographical locations, so that the phone can automatically detect a pre-stored setting and make appropriate adjustments. Users can also make custom adjustments to reduce wind and background noise, and use the phone as a microphone to better hear a person speaking in a noisy environment. Another appealing feature of the LiNX 3D is a built-in selection of smart tools and relaxation sound therapy for providing relief for tinnitus. For those who have questions or need assistance with their devices, LiNX 3D contains a helpful support section. 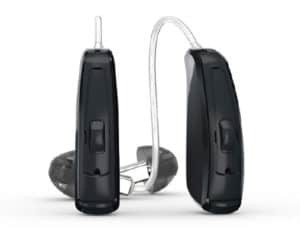 With ReSound LiNX 3D you’ll be better at identifying speech in noise and be able to hear more sounds around you. You can use your hearing aids like wireless headphones. And you’ll get a brand new dimension of control over your hearing aids.